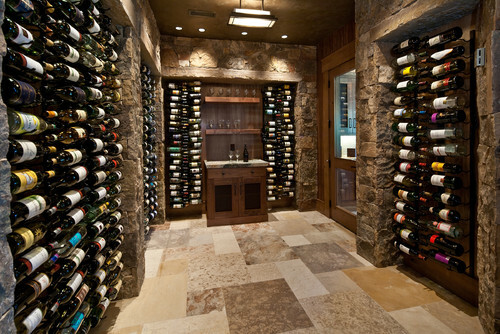 Creating a wine storage area can be a great addition to a oenophile's home. 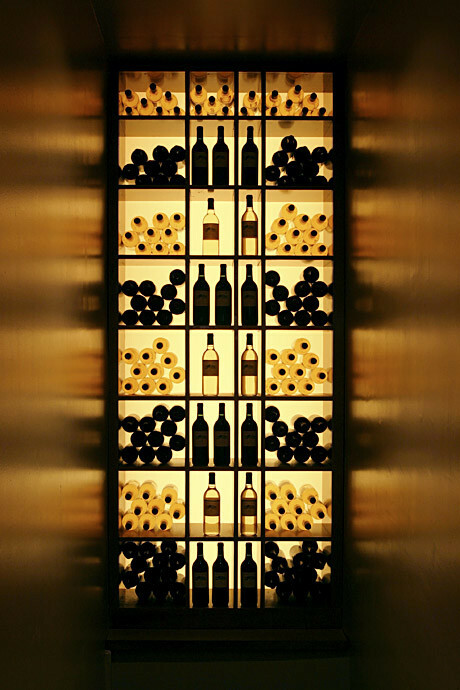 Like any remodeling project, they can be over-the-top affairs or practical solutions for storing wine. Cellars like the one above are built to house massive collections and have temperature and humidity controls to provide optimum conditions. 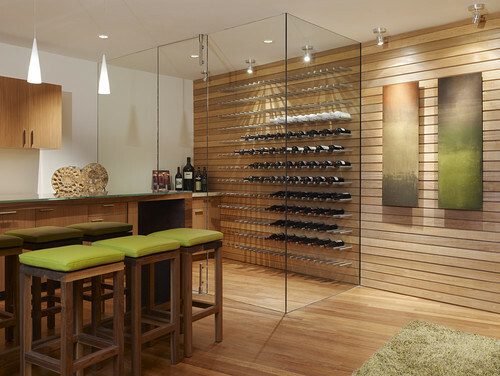 Frameless glass enclosures can be used to create a separate wine area, and look sleek and sophisticated while doing it. Back-lighting can be used to create a moody effect. 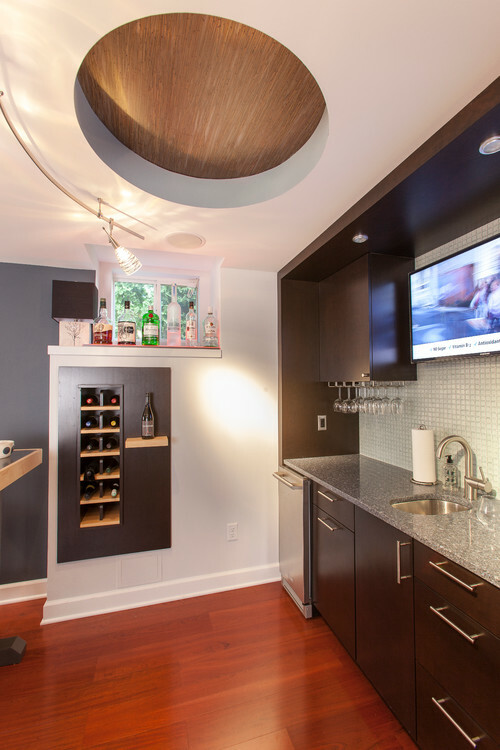 Smaller collections can be subtle details, here we built this wine cabinet to take advantage of the dead space in this plumbing wall. 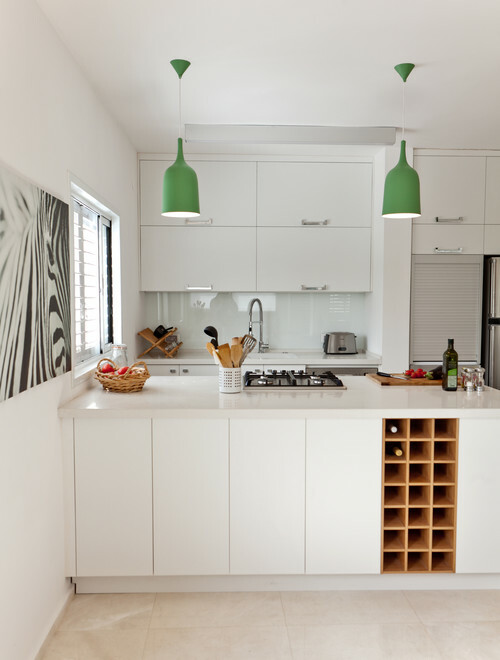 Here, the wine collection adds visual interest to this all white kitchen.